Young supporter: Lucinda Colbert with her grandfather Ray Colbert , who has asbestos-related disease. 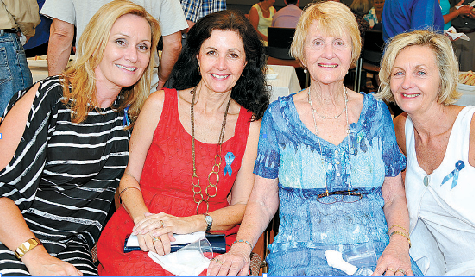 SUFFERERS of asbestos-related disease came together recently for their 21st annual ecumenical service. About 160 disease sufferers, their families and friends were at the service in St Stephen’s Cathedral on November 29. Associate pastor Fr Michael Grace celebrated the service with assistance from the St John’s Anglican Cathedral dean Dr Peter Catt and Albert St Uniting Church superintendent minister Reverend Lyn Burden. 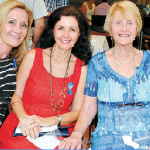 Asbestos-Related Disease Support Society Queensland president Helen Colbert said the theme for the 2013 service was “forever in our hearts”. ARDSSQ secretary Ray Colbert said the society was receiving record registrations. Mr Colbert said some of those numbers could be because more people were aware of the problems with asbestos. “We have wives who realise what their husbands have done on the weekend and ring us and we have to say ‘Yes, he was exposed to asbestos’,” he said. Mr Colbert said information regarding asbestos was the key to prevention of the disease. 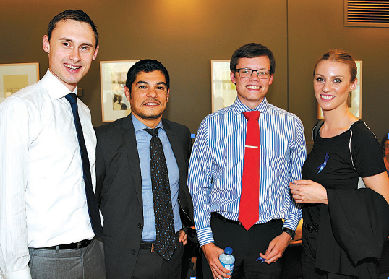 Wise advisors: (From left) Sebastian Rogalski, David Agudelo, Andrew Suffern and Clare Byrne, from Turner Freeman Lawyers, handle many of the asbestos-related disease legal cases.